My house smells like a drunken bar today, thanks to these Slow Cooker Beer Brats. 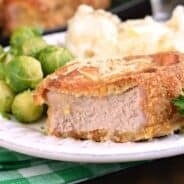 Don’t get me wrong, these guys taste amazing, and they are worth making for dinner. But unlike slow cooker chili, or slow cooker italian beef…today’s recipe makes your house smell like a pub. You’ll be greeted with those familiar smells of spilled beer at a frat party and morning hangovers. Okay, that’s too far. I’m really not “selling it” am I, haha!! In all seriousness, I think you’re going to love this dinner. If you can crack a window, more power to you. Plug your crockpot in on the back deck? Even better. 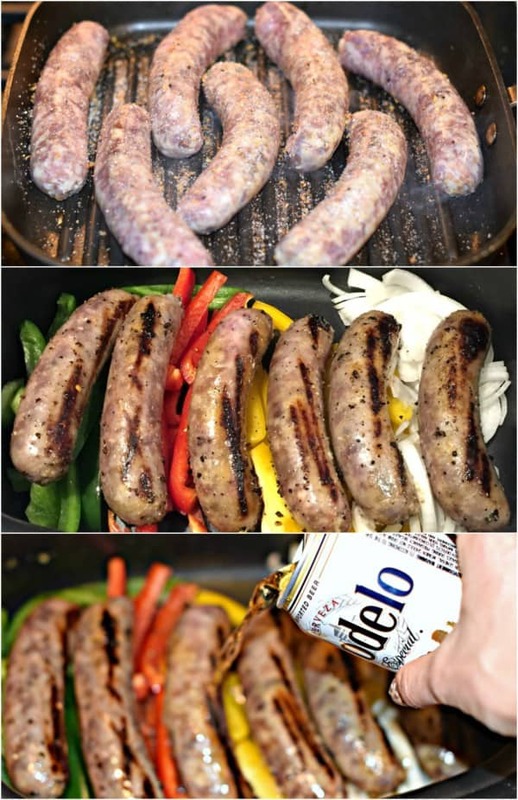 Cook these brats for 6-8 hours in a closed house so when you return the deep aroma of meat and beer welcome you home? Glorious! In the summer, we make beer brats all the time. Boil the fresh bratwurst in beer until cooked. Then finish them off on the grill outside! It’s great for when you’re hosting a dinner or bbq because you can boil them all in advance, and then when it comes time to eat, just pop them on the grill for a few minutes to get the charred look! But, alas, it’s cold and windy here in Chicago. While we have had a few peeks of sunny days and springtime weather, today is not one of those days for me as I sit here and write this! Since I was craving some brats on the grill, I thought, why not do the next best thing? I grabbed my indoor grill pan (a skillet would work too!) and cooked the brats for about 5 minutes per side over medium heat. I sprinkled on some garlic salt and steak seasoning while they were sizzling on the stove top! While those cooked, I sliced up some peppers and onions! When the brats were done and charred, I added them to my slow cooker with the sliced veggies. I also added some extra garlic salt and steak seasoning, two cans of beer (about 24 oz) and a cup of water. Simmer this on low heat for 6-8 hours (or high heat for 3-4 hours). 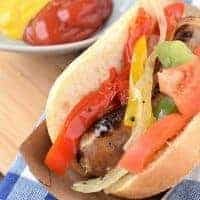 I love serving our brats on crusty french rolls, but any style hoagie or hot dog bun would work (even a pretzel bun, YUM). 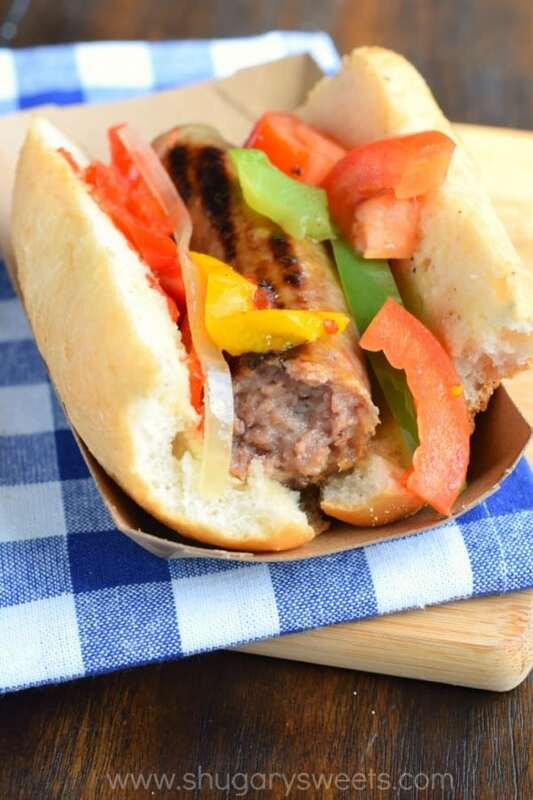 But here’s the question, would you add ketchup or mustard to your bratwurst? 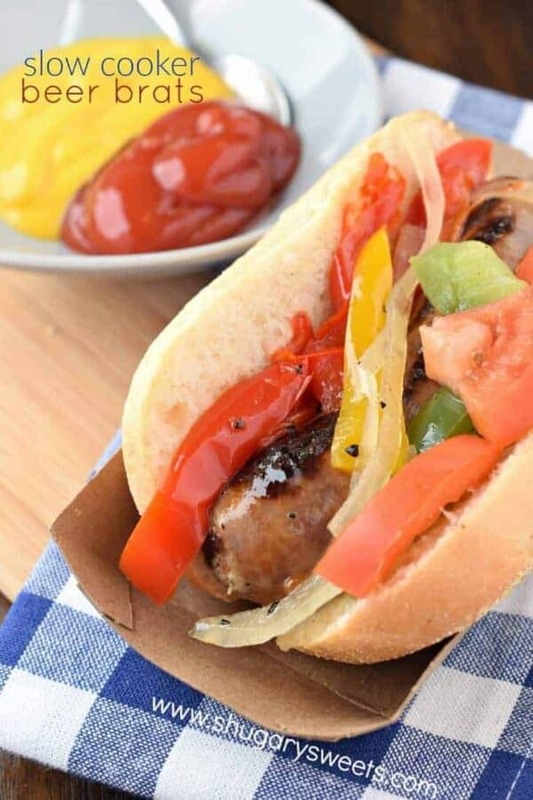 These Slow Cooker Beer Brats are the easiest dinner idea with only ten minutes prep work! 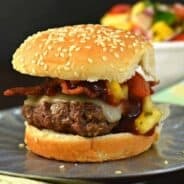 My husband said these are better than on the grill! Place the bratwurst in a grill pan, or skillet, on medium high heat. Sprinkle 1 tsp of garlic salt and 1 tsp of steak seasoning over the brats. Add the vegetables and bratwurst to your slow cooker. Top with beer, water, and remaining 1 tsp garlic salt and 1 tsp steak seasoning. Cover and heat on low for 6-8 hours (or high for 3-4 hours). 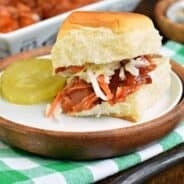 Serve on a french roll and enjoy! This is making me so hungry. Beer and brats sound tasty to me! Beer is almost always a great addition ..